When to Plant your Begonia Bulbs If you wish to plant your Begonia bulbs (tubers), do not plant them outside until all danger of frost is past. Plant the tubers in trays or pots with the hollow side up. Cover with no more than 1cm (1/4in) of soil or potting compost. Begonias prefer partial shade but do ensure they have plenty of light and air. Moving outdoor(partial sunligh) begnia once seedling grow 4-5 inches. 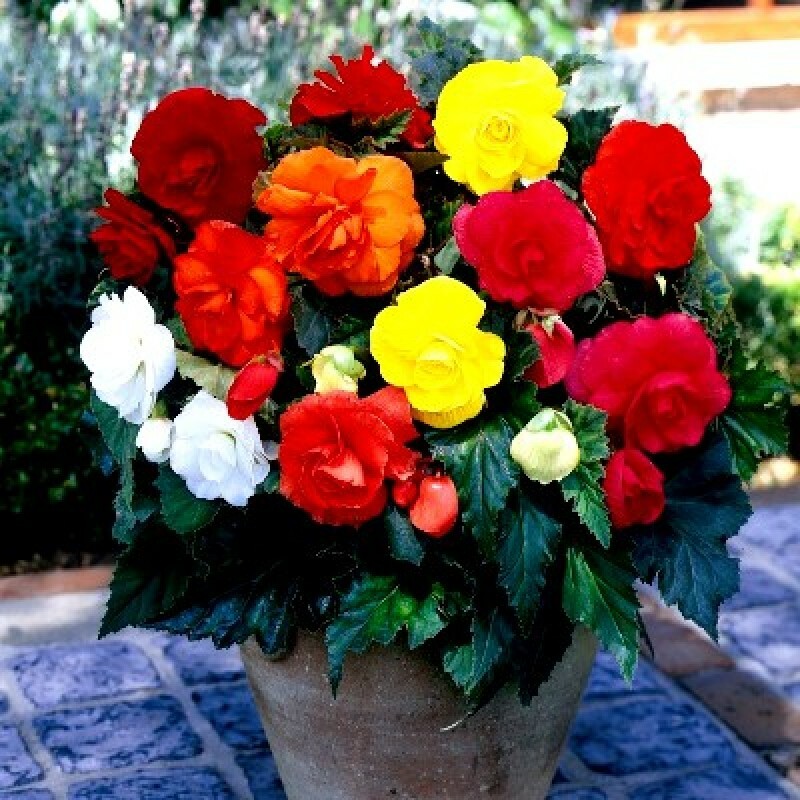 Begonia is very versatile and can be planted in balconies, hanging baskets, patio containers and flower beds. Begonia tubers can be started in an indoor light room, conservatory or greenhouse.